Hiring? 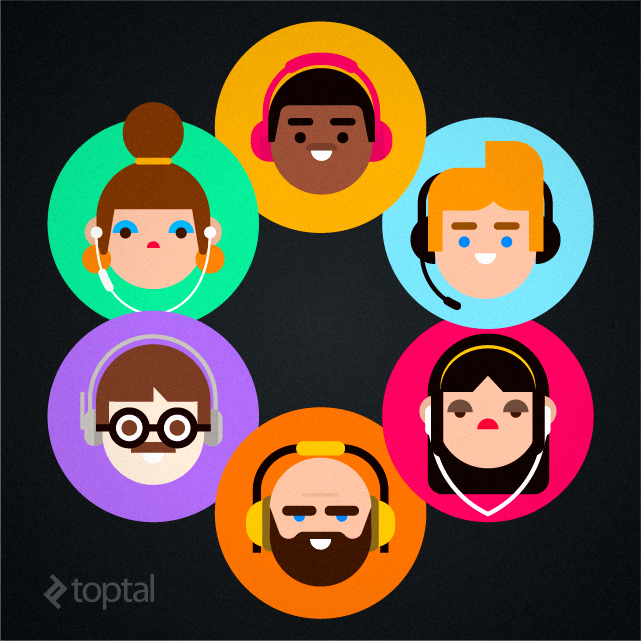 Toptal handpicks top VoIP engineers to suit your needs. Headsets are an often overlooked hardware component, yet many remote workers spend hours glued to the screen, on a conference call, screen sharing session, or any of a myriad different activities that necessitate the use of headsets, microphones, and other audio hardware. 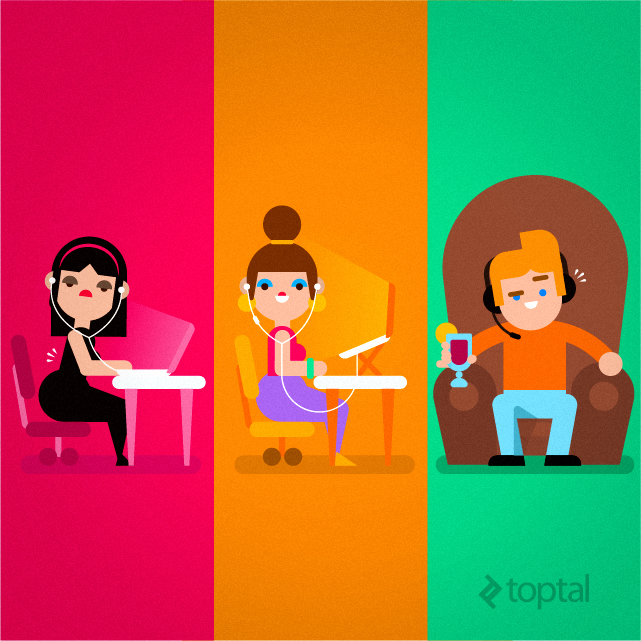 While the Toptal blog is a place for very technical, niche content, we also serve our community. 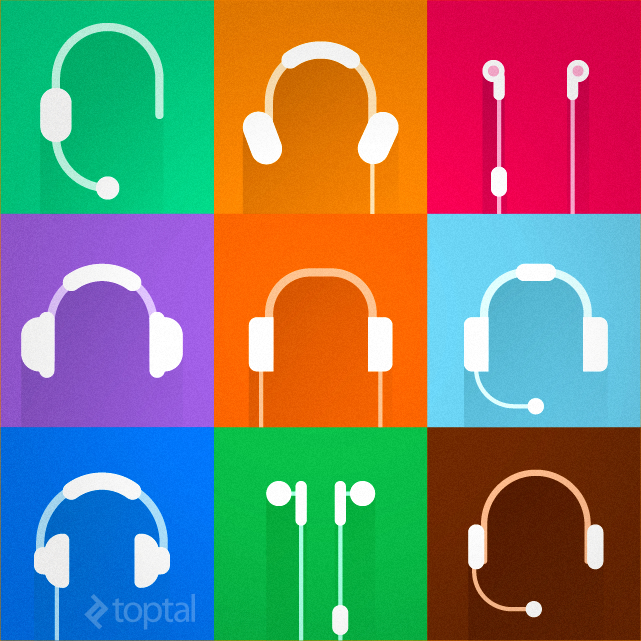 Guess what, since our community is a huge, distributed team, we hear a lot of chatter dealing with all sorts of hardware, including headsets. That’s why we decided to compile a few community suggestions and take a closer look at some industry trends that could help our community members choose the right tool for the job (and stop talking about headphones and microphones on Slack all the time). Since we are not in the business of professionally reviewing hardware, we can’t create the ultimate guide to headphones for developers, but thanks to community input, we can offer a few words of advice and some suggestions. So, where do we begin? Let’s take a look at the basics, let’s see what you definitely shouldn’t do if your job involves a lot of voice calls. Oh, we won’t talk about etiquette, just hardware. Don’t rely on stock hardware. Don’t buy the cheapest hardware; if you’re a developer, you can afford good stuff. Don’t forget about your environment. Don’t use low-cost wireless solutions. Don’t be satisfied with “good enough” audio quality. You have to work like a pro, talk like a pro, and sound like a pro. Even if you have a brand new notebook and a flagship smartphone, you should not rely on stock hardware for professional voice calls. It’s simply not good enough; otherwise there would be no aftermarket audio industry to begin with. Sure, laptop microphones get the job done, but they also pick up a lot of background noise, making them unsuitable in many circumstances. Since this is a tech blog, I don’t think I need to list all the cons of using an integrated microphone for a voice call. So, how about your new smartphone and the included wired headset? In a pinch, they can be useful, but most bundled headsets are relatively short, which may be a problem from an ergonomic point of view. You may be tempted to simply order a cheap headset with a long cable, but bear in mind that the bitterness of poor quality remains long after the sweetness of low price is forgotten. There is really no need to pinch pennies here, folks; we are talking about headsets, even good ones are relatively inexpensive. But what if you already have top notch hardware, yet you still hear complaints from the other end of the line? Well, you may want to take a closer look at your environment, whether it’s noisy, prone to echoing, or too windy (if you are one of those people who like to take their work outside). Wireless headsets look like a great option for home office workers. In theory, they would allow you to do some basic housekeeping while discussing a project, maybe pop into the kitchen for a drink if you are in a long call, or check up on your kids or pets. The problem is that a lot of wireless headsets tend to be quirky, especially if you get cheap ones. Another obvious issue is battery life; if you take a few calls a day and spend hours talking to your teammates, it’s a good idea to use a wired headset, or at least have a wired backup ready to go. OK, if you have quality hardware set up in a good environment, you should probably get decent audio quality. However, is decent sufficient? If you hear complaints from your colleagues every now and then, that’s surely not a big deal. Wrong. If you need to talk with clients on a regular basis, any recurring issue will just make you look unprofessional. Sort it out for your own good. Do you handle all voice calls from one place, such as your home office? How often do your travel and work on the road? Do you tend to work outdoors, in cafes, on a terrace, in your yard? How frequently do you take part in voice calls, conference calls? How much time do you spend on calls on a daily and weekly basis? Will you use the headset on multiple hardware platforms? Do you work alongside other people and need to talk to them while on a call? Do you need a binaural or monaural headset? If you do the majority of your work, or all of it, from your office or home office, chances are you won’t have to spend a fortune or look for high-quality hardware to meet your needs. You control the environment, you always use the same hardware, there’s not a lot of background noise, so there is not much that can go wrong. You probably don’t need a noise cancelling headset or microphone, or anything fancy for that matter. On the other hand, if you do a lot of traveling, and if you consider yourself a digital nomad, this may entail a bit more thinking. You need something portable that won’t take up half your backpack, so an earbud type headset will probably be your first choice. You will also need stuff that can be used on multiple devices, which isn’t a problem with wired headsets, but it’s something to keep in mind if you want a Bluetooth set. If you take your work with you, no matter where you go, it’s a good idea to go for something a bit more serious. You will probably need a headset with noise cancelling and a microphone that can stand up to a breeze without making you sound like you’re paragliding. Should you go for an active noise cancelling solution or a traditional, passive noise cancelling boom microphone? Both have their pros and cons. Cutting edge active noise cancelling can be integrated into very compact headsets, but it can add a lot to the price tag. Passive noise cancelling shouldn’t cost as much and it should deliver more consistent results, but you will have to live with the added bulk. The frequency and duration of calls is very important. If you are expected to take part in weekly calls, ergonomics, comfort and battery life are likely not high on your list of priorities. 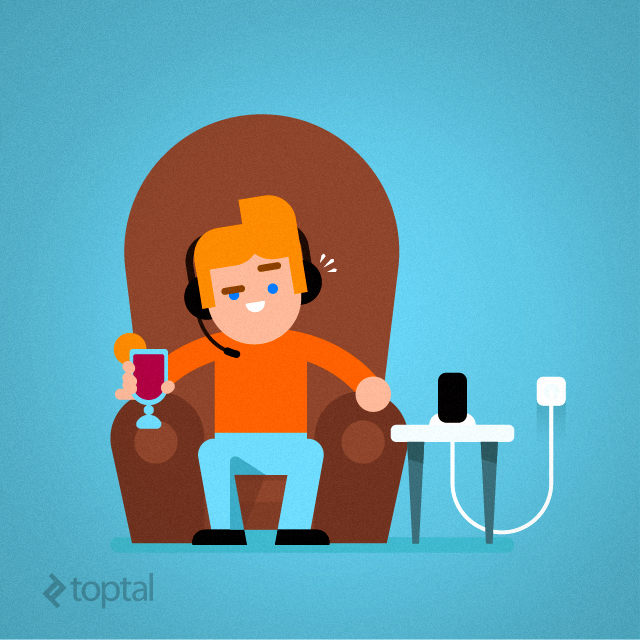 However, if you take a calls each day, spending a hours talking to your team and clients, wireless headsets start to lose their appeal while ergonomics and comfort become a priority. If you are planning to get a Bluetooth headset and use it on your phone, tablet, and computer, you may want to consider battery life, as well as the ease of pairing and un-pairing the device, just in case you need to take a call on short notice. It’s not a big deal, but it can be a source of frustration. Lastly, in case you share your office with teammates, and if you want to be able to hear them while you are on a call, this raises some additional questions: Do you expect to take part in conference calls involving your entire team, or do you handle the call, getting some input from fellow team members? 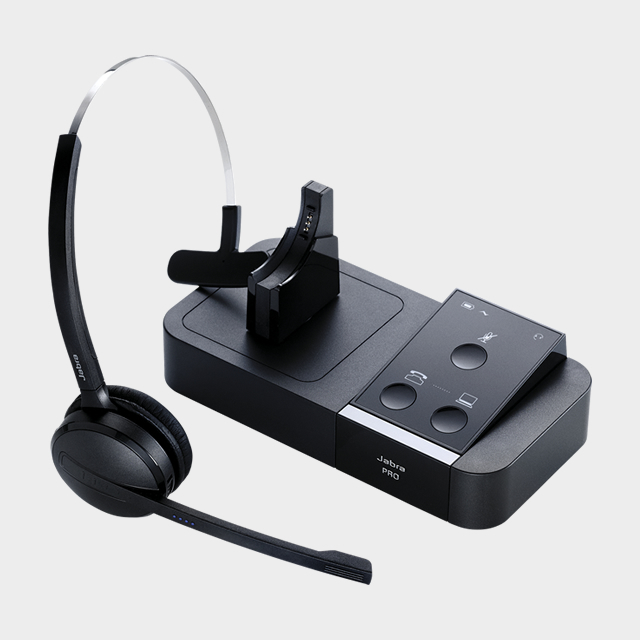 This may entail creating a basic conference room audio setup, or, if you don’t need the rest of the team on the call, getting a monaural headset, or even a bone conductivity headset. The latter might be an option for people who really can’t stand sticking earbuds into their ears, or using oversized headphones, covering their ears and ruining their hair. If you spend a few hours a week on calls, ergonomics will undoubtedly one of your primary concerns. Headsets come in a range of different configurations, and you need to figure out which is best for you. All this, of course, is entirely subjective: Do you wear glasses? What about your hair style? You should start by thinking whether you need a monaural or binaural headset. Both have their pros and cons, but binaural designs are better for noisy environments. However, monaural headphones are lighter and more compact. If size and weight are a big concern, you might be interested in over-the-ear headsets or in-ear headsets (earbuds). While the latter are a popular choice due to their size and relatively low price, the biggest problem with many of them is the cord length; they are designed for phones, so the cord may be too short if you want to connect them to your desktop or laptop, thus negatively affecting your posture. Big, over-the-head designs with big microphone booms tend to offer the most immersive user experience, and they are the weapon of choice for many gamers. They are also good in a professional setting, if you can live with the big headband and oversized ear-pads. You may be thinking about some more compact models with small ear-pads, but in my opinion and experience, they are usually not worth it. You will probably be better off with some earbuds than a cheap over-the-head unit. If you think the headband is a bit too much, but you don’t want earbuds, you can go for behind-the-neck headsets. I have already mentioned an exotic alternative in the form of bone conductivity headsets. They are not for everyone though. This technology has been employed in tactical helmets for years, but it now has a few niche applications in the consumer world, as well. Such headsets are usually wireless, behind-the-neck designs and they are meant for people who enjoy an active lifestyle. A cyclist or jogger needs to hear what’s going on in the immediate environment, just like a police officer or soldier wearing a tactical helmet with bone conductivity audio. Many wireless headsets offer excellent ergonomics as there are no wires getting in the way, and you can step back from your computer if you need to. The latest Bluetooth 4.0 headsets are very compact, so you can basically buy a couple of earbuds connected by a single cord, with a remote and microphone in the middle. Bluetooth 4.0 is very efficient, hence there is no need to install bulky batteries on such designs. Even so, if you spend a lot of time on calls, battery life could become an issue, so a corded unit might be a wiser choice. So what sort of headphones do Toptalers use? Well, we seem to have a lot of audiophiles, including AKG and Sennheiser fans in our network. A few people use Sennheiser’s flagship Momentum headsets, while traditionalists prefer AKG’s K545. 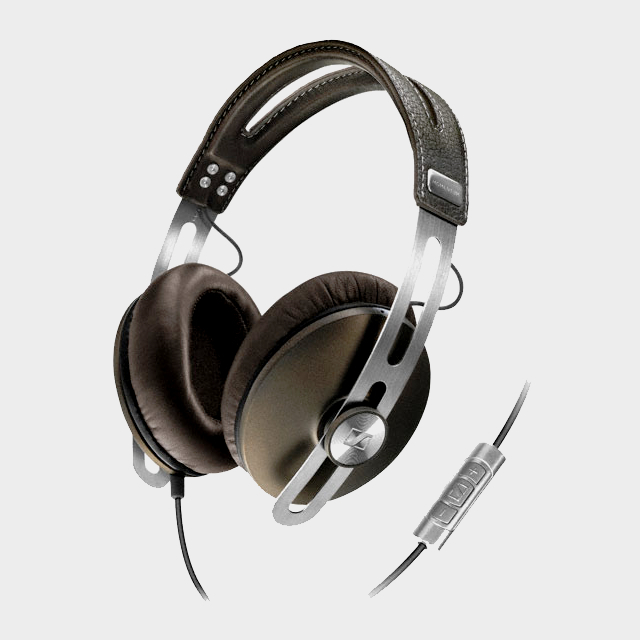 V-Moda headphones that have become a popular alternative. These high-end units are designed for exceptional audio quality, but they are not for everyone; they are not compact and they don’t come cheap. What about some affordable alternatives, something that offers a better price/performance ratio? In my opinion, the mainstream segment hits the sweet spot in terms of value. Brands like Logitech, Jabra, Plantronics, Philips, and others offer a wide range of headphones for consumers and businesses. 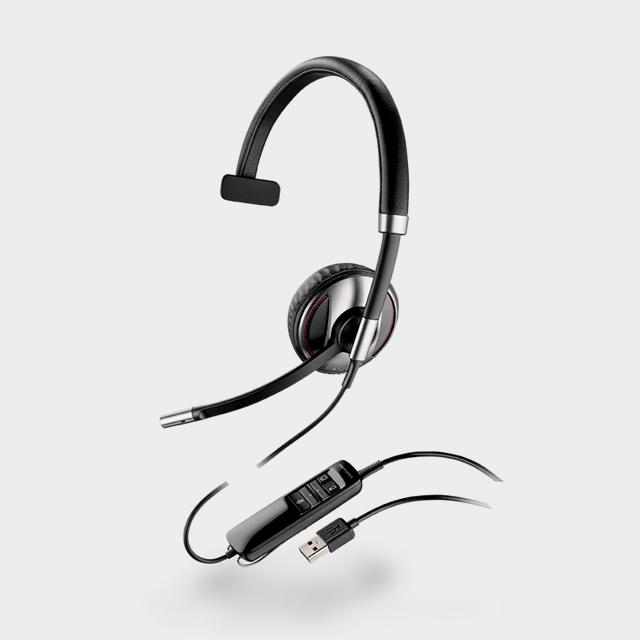 Many of them, including Sennheiser, Jabra and Plantronics have product lines specifically designed for call centres and professional communications. As a rule of thumb, professional call centre solutions feature a noise cancelling boom mic, and they are designed for regular use, which means ergonomics and weight should not be an issue. It’s also worth noting that many feature “dual connectivity,” allowing you to easily connect them to several devices via USB and Bluetooth. However, the best professional solutions don’t come cheap, and many models cost over $200. Luckily, you should be able to pick up a good unit for about $100. Check price search engines, be on the lookout for good deals, and tell your teammates about them. But wait, what if you’re a gamer? Should you use your gaming headset as a voice call headset? Why spend more on a professional solution? Well, it all depends on how often you will need to use them. Gaming headsets tend to offer good audio quality, but they can be bulky, so they are not an ideal choice if you spend a few hours a day on calls.. Also, the focus is on delivering crisp and powerful sound to the gamer, rather than excellent microphone quality. Still, if you need gaming headphones, or general purpose headphones, you could simply get a high-end unit, with a good microphone, from a reputable brand. Logitech, Sennheiser, Razer, SteelSeries and a few other vendors have upmarket gaming headsets that could easily meet your needs in a professional setting. Standard smartphone headsets are popular, especially those with a nomadic lifestyle, but they have a few drawbacks. They work in a pinch, but generally the cord is simply too short for comfortable everyday use. The short cord may affect your posture, even if you don’t need to use the headsets for hours each week. It’s not only that you have a short wire that requires leaning over to reach your computer, you need a longer one to keep it out of your field of vision and off your keyboard or mouse pad. Another problem with smartphone earbuds is that the microphone is usually located on the remote, and if you don’t have a clip, it can slide over your clothes and generate a fair amount of noise. Besides, these tiny microphones really aren’t that good anyway. How About Some Wireless Headphones? Wireless solutions are appealing on more than one level. Why not use a pair of cutting-edge Bluetooth earbuds to enjoy music on the go and do your work? Well, limited battery life would be the most obvious answer. Sure, they would suffice for an occasional call, especially if you are on the go, but they are no substitute for dedicated solutions. There are a lot of professional Bluetooth headsets, both monaural and binaural, and they tend to have better battery life than cordless headsets designed for smartphone users. Most of them come with a microphone boom, noise cancelling tech, and more. Of course, they cost more than your standard smartphone Bluetooth headset, and they are really not intended for other applications; you wouldn’t want to go jogging with a microphone boom, would you? In spite of limited battery life, we will see more Bluetooth headsets in our everyday lives, in the workplace and in the gym. If you decide to use a consumer Bluetooth solution for work, and especially if you travel a lot, please make sure that you also get a powerbank that will allow you to charge it before you start missing important calls. Professional Bluetooth headsets tend to be better in this respect, but caution is still advised, especially until you get used to them. Keep in mind that batteries degrade over time, so if you are a heavy user and the headset will go through a lot of charge cycles during its lifetime, you should definitely go for a professional design, with a beefier battery. A simple Bluetooth speaker is a wireless device that may come in handy if you want to bring in the rest of your team on the call. Granted, these devices aren’t professional equipment, but sometimes they can be helpful, and some are capable of delivering rather good audio quality on both ends. Still, bear in mind that this is really not the way to talk to your clients. To recap, there is not a lot you can do wrong when choosing a quality voice call headset, provided you are willing to spend a bit of money on it. As long as you stay away from the really cheap ones, you should be in the clear. Let’s face it, you’re not buying a pair of disposable headphones for the gym; you are buying a piece of professional hardware. Besides, we are not talking about huge amounts of money, so it’s not like you will save a fortune if you buy a $20 headset over a $100 one. Would you buy a terrible $5 mouse or $10 keyboard? Of course not, so don’t buy a bargain bin headset, either. Steer clear of very cheap devices. “Good enough” quality is really not good enough for client calls. Make sure to identify your requirements properly and find a good match. You can mix business and pleasure. Keep it simple and professional, focus on the client. Always, and I mean always have a backup ready to go. As I said, headsets are often overlooked, but if your job involves a lot of calls, you should treat them as any other hardware component. Why? Because you are likely to spend hours talking to your clients and you don’t want to sound unprofessional. If you are working on serious projects, and earning good money, clients will expect excellence, and communication is just another piece of the jigsaw puzzle. Lastly, here is a caveat of sorts: No matter how good your hardware is, nothing trumps good old etiquette and communication skills. Of course, that’s beyond the scope of this article, but it’s something to keep in mind in every client call. In my experience, closed ear headphones are hard to wear for more than 1-2hrs. I own the Sennheiser HD-25II's and can only wear them for 1.5hrs at a time. I might try these other Sennheiser's out though. Trust me, the memory foam padding makes wonders. When the music is off, I totally forget I am actually wearing this. I second this. I am in love with mine. My choice is Beyerdynamics DT 770 PRO, very good soundproofing and quality, especially with external DAC. But it's not so portable as I want sometimes. For traveling and moving inside of flat I like to use sennheiser cx 400-ii. Hey, but this is not really a headset (no mic), is it?